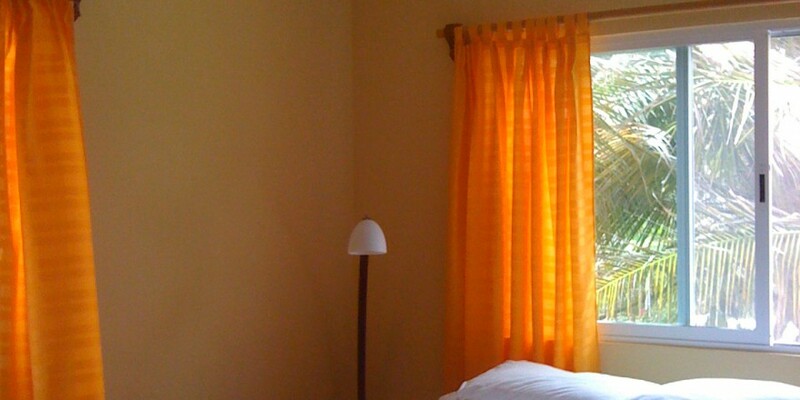 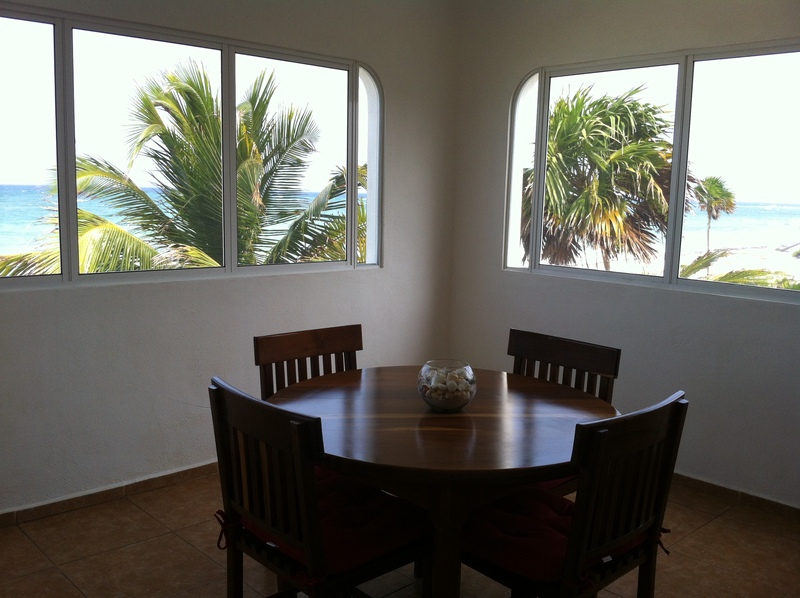 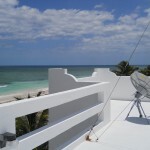 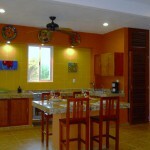 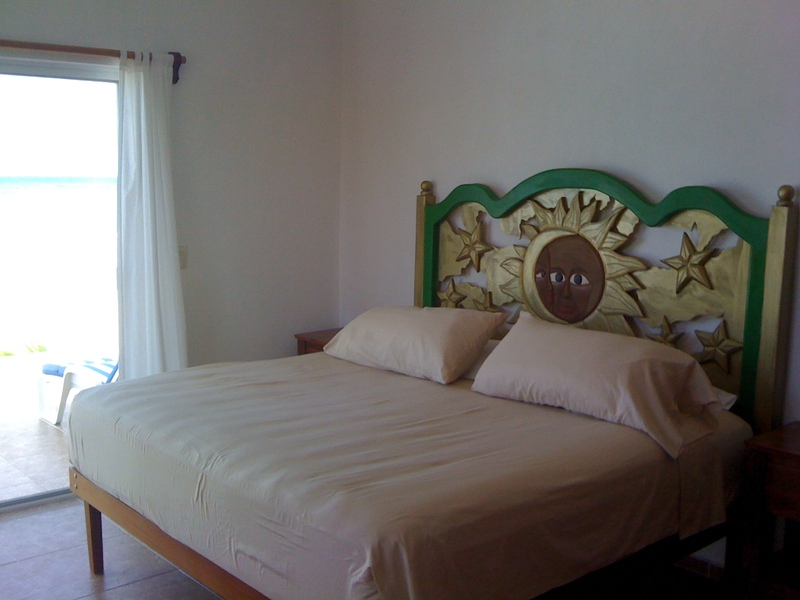 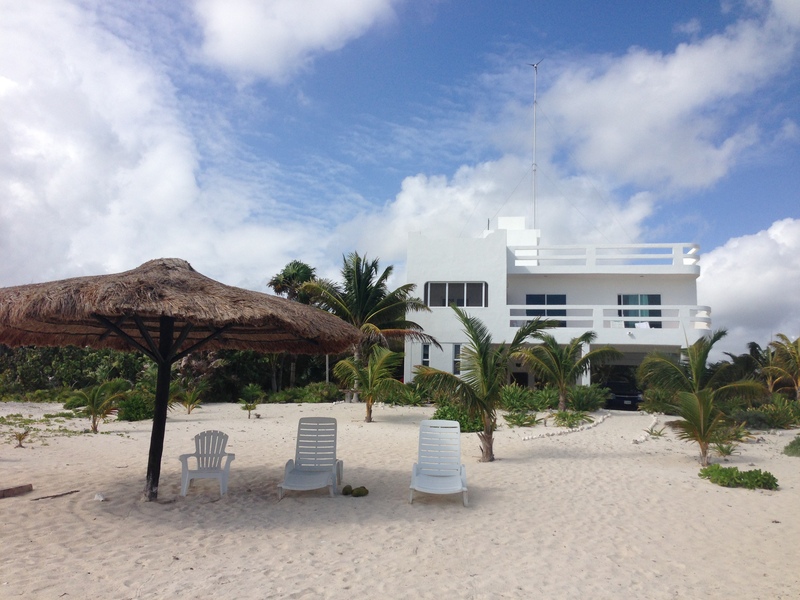 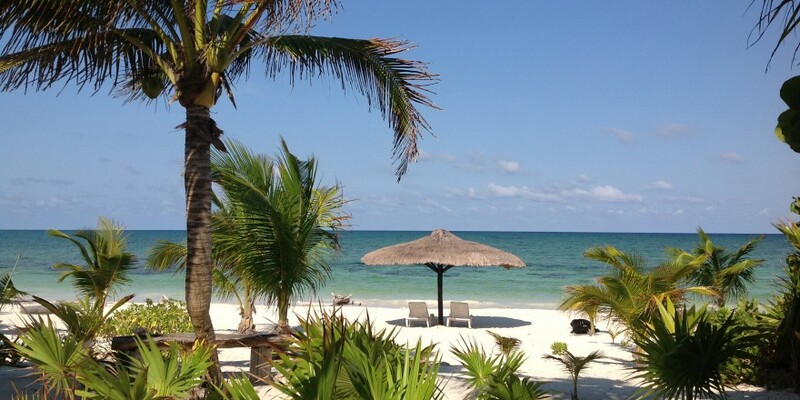 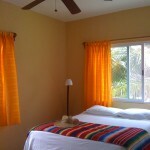 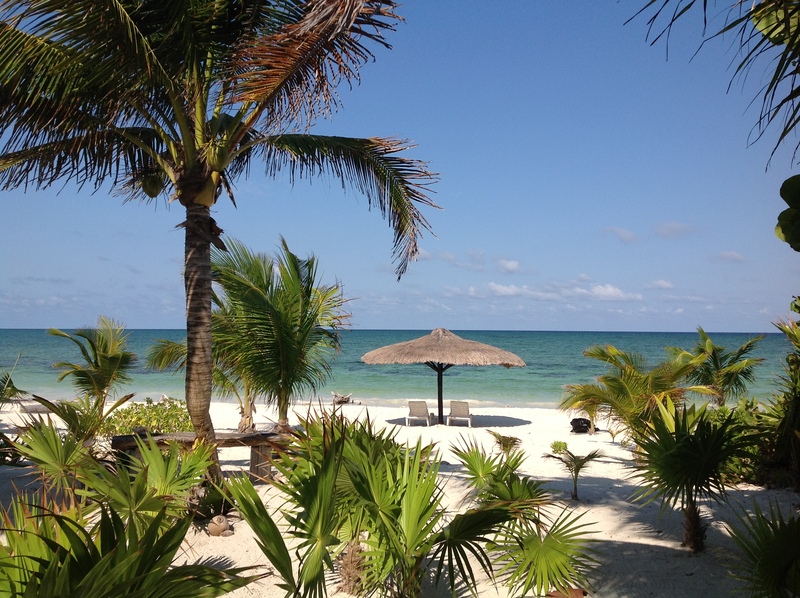 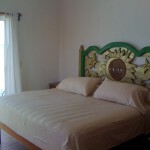 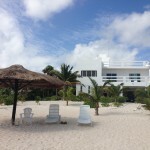 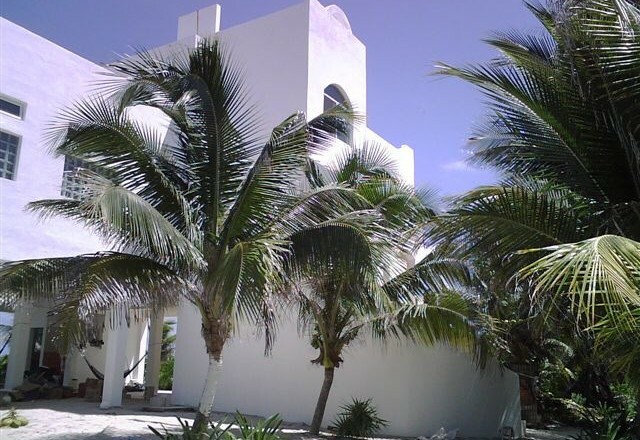 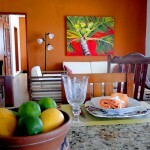 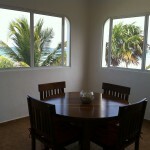 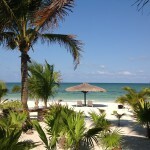 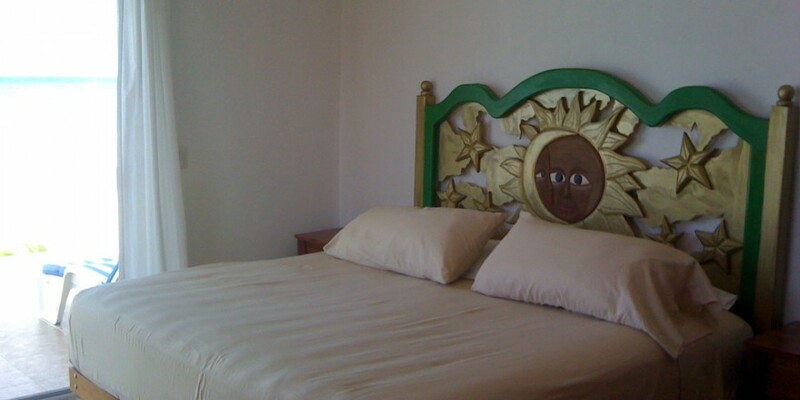 Casa Blanca Caribe is located on the magnificent Sapphire Beach in Placer, Costa Maya, Mexico. 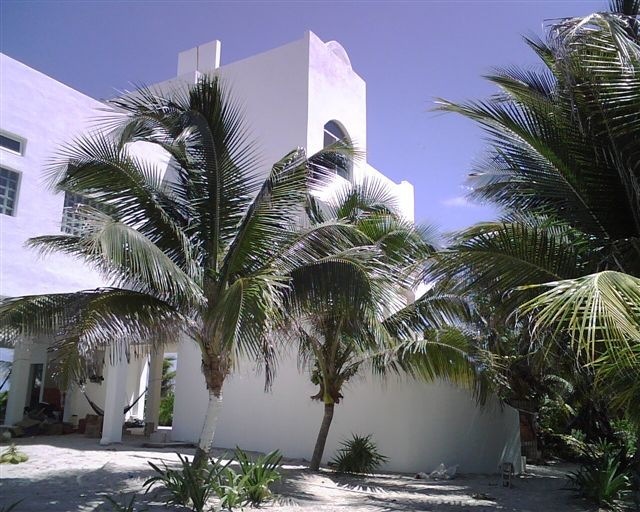 Sapphire Beach is one of the most beautiful beaches in Costa Maya with wide, white sandy beaches that seem to go on forever, with the beautiful Caribbean Sea beside them. 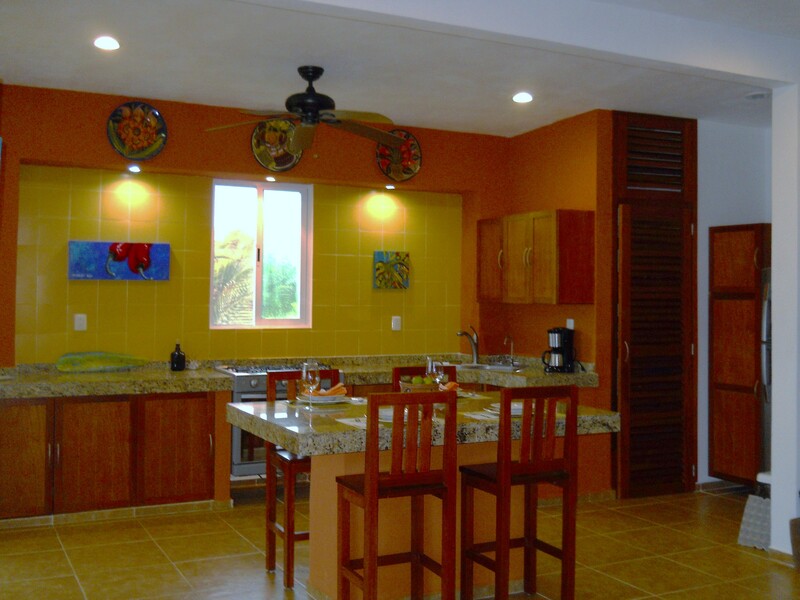 The emerald and turquoise water has vibrant coral reefs that are full of colorful tropical fish and are easily reached from the shore. 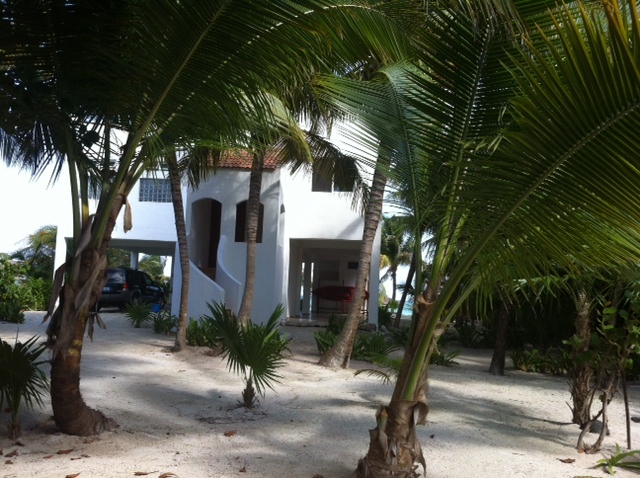 This house is really TWO houses. 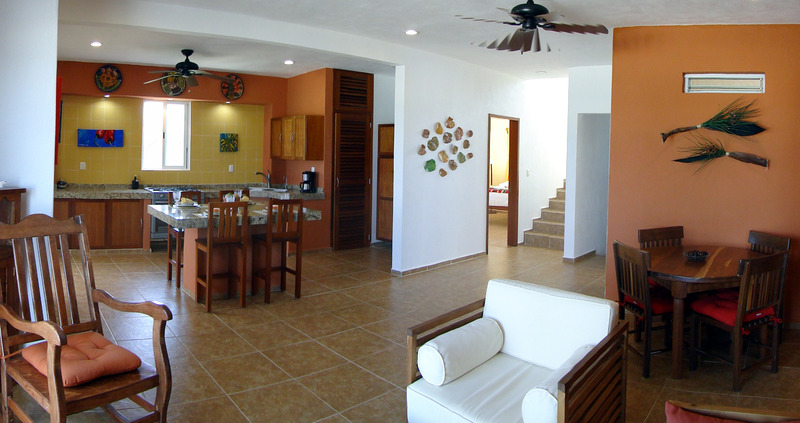 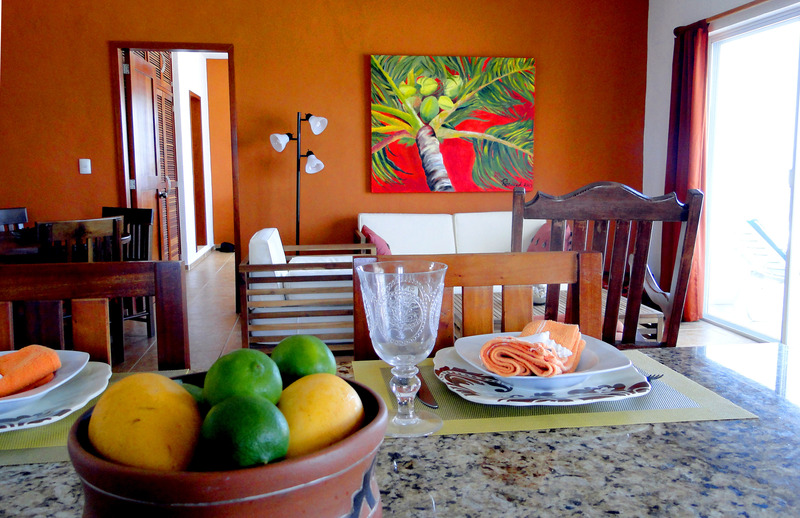 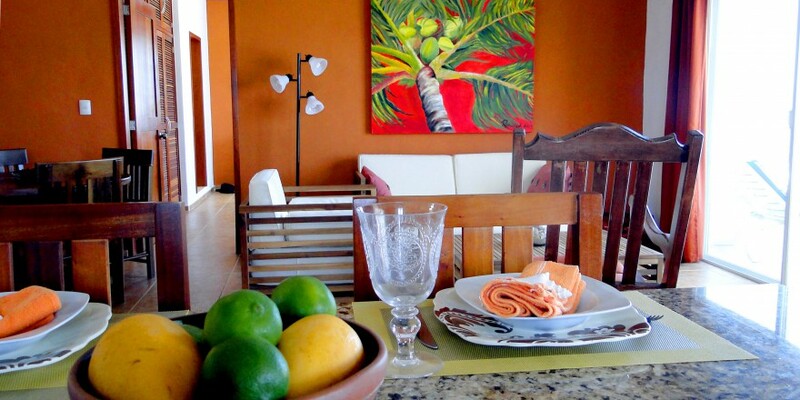 The main house features two bedrooms and two full baths… all located in the upstairs part of the home, where the rooms are specifically designed to enjoy the almost-constant tropical breezes throughout the year. 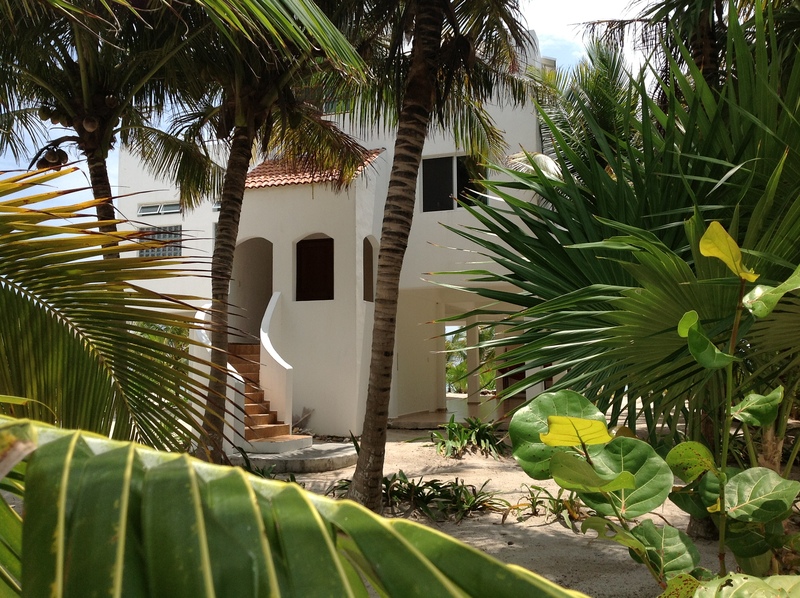 Below, on the ground level, is an outdoor shower, another bathroom, a laundry and storage room and a generator room. 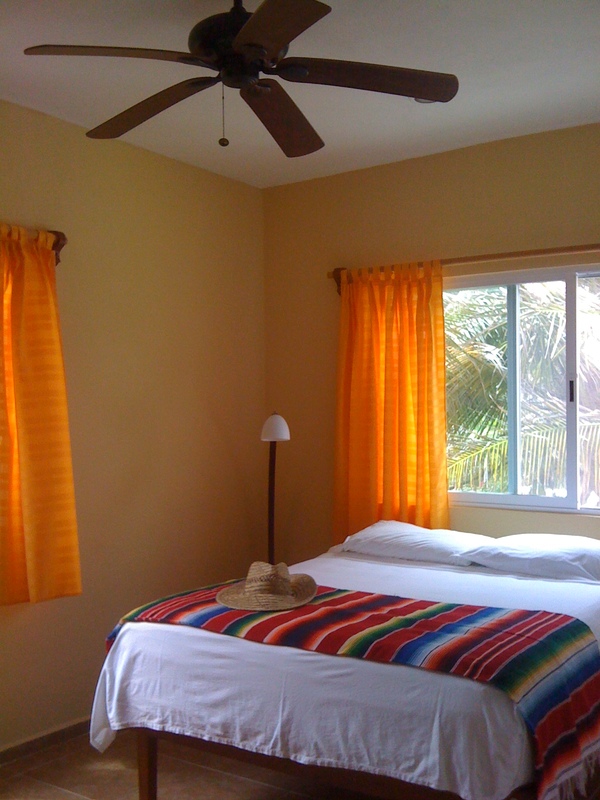 The home is completely independent of electricity provided by CFE (the national Mexican electricity provider) because of the modern, efficient solar panel system that has been installed. 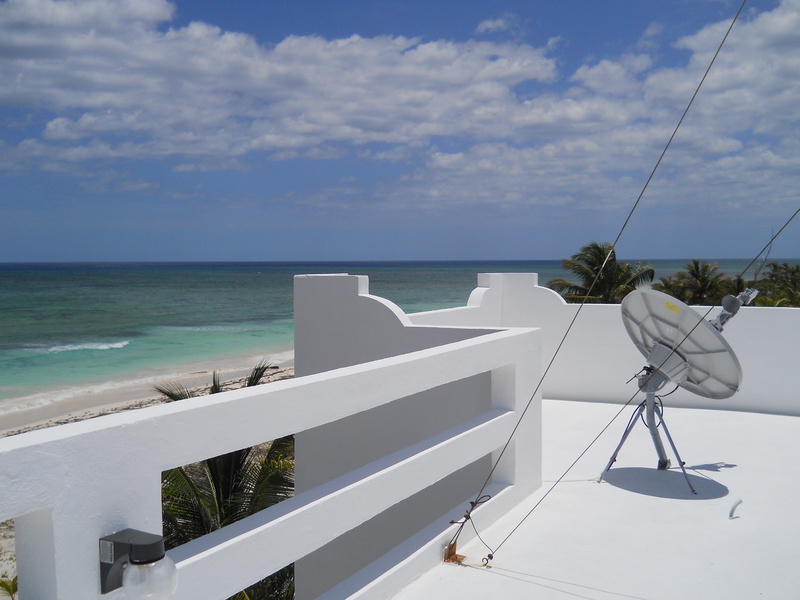 The 360-degree view from the roof terrace is stunning and frankly, priceless! 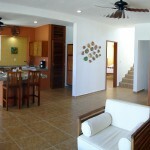 In addition, there is separate bungalow, which is complete with a kitchen and bathroom. 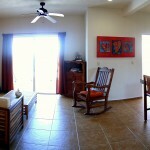 This house is perfect for guests, a renter or a caretaker. 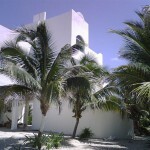 This complex of buildings is almost new and has been immaculately kept. 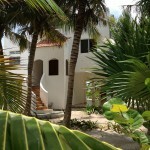 The property has dozens of tall coconut palms that provide privacy plus peace and quiet. 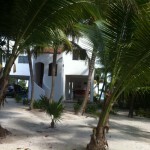 If you are looking for a lovely beach getaway, this is the place!